It’s impossible to know these things for sure, but it wouldn’t hurt to try and predict what’s going to happen so you can prepare for the busiest shopping event of the year. That’s why for this post, we’ve put together the top retail forecasts and insights from industry organizations and experts. Have a look at what they have to say and factor in their input when you’re planning for the holidays. The National Retail Federation (NRF) and International Council of Shopping Centers (ICSC) released their holiday forecasts last week, and both organizations are optimistic about the 2016 holiday season. The NRF predicts holiday sales to increase 3.6% this year while the ICSC forecasts a 3.3% growth. “Consumers have seen steady job and income gains throughout the year, resulting in continued confidence and the greater use of credit, which bodes well for more spending throughout the holiday season,” NRF Chief Economist Jack Kleinhenz said. The ICSC’s Holiday Shopping Intentions Survey found that 85% of shoppers said they plan to do online research before making holiday purchases in-store. Thirty-nine percent of shoppers (up from 32% in 2015) also intend to utilize in-store pickup, and 83% of these consumers will make additional purchases when picking up their orders. Clearly, consumers are planning to shop on both digital and physical channels this year, which means the retailers that’ll thrive the most are the ones who can offer amazing experiences across different channels. So, get your omnichannel ducks in a row. Whenever possible, implement services such as click-and-collect or ship-from-store so your customers can get their hands on their purchases however and whenever they want. And remember, most shoppers are planning to do online research before heading to physical stores, so see to it that your website can give people the information they need quickly and easily. Write compelling copy, optimize product images, and if possible, include ratings, reviews, and social proof to assist customers further in making purchase decisions. Additionally, you’ll likely see an uptick in web traffic this season, so ensure that your ecommerce store loads quickly and is secure. Gift cards topped the list of categories in which shoppers are planning to spend. 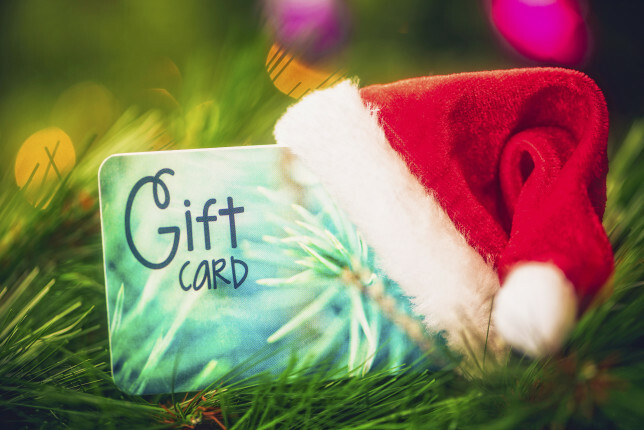 According to the ICSC’s consumer survey, 64% of respondents planned to purchase gift cards for the holidays. This is followed by apparel and footwear (51%), toys and games (46%), men/women’s accessories, cosmetics, fragrances (39%), and electronics (38%). Gift cards are one of the best presents you can give yourself and your customers. Stock up on them and be sure to order cards with holiday-centric designs. Once you have gift cards in your store, market the heck out of them. Invest in good gift card racks and displays then position them in high-traffic areas of your store. Train your staff to proactively sell gift cards. Sell gift cards on your site. Spread the word using email and social media marketing. Vend user tip: Are you on Vend’s Advanced or Multi-Outlet plans? If so, sign into your account as an admin and enable gift cards in your store. While Singles’ Day (which always falls on the 11th of November) is primarily celebrated in China, there is reason to believe that the retail holiday will gain steam in the US and the rest of the world. In 2015, the retail giant celebrated Singles Day by offering huge deals on its website, and the results were tremendous. Alibaba logged $14.3 billion in sales on Singles’ Day, dwarfing both Black Friday and Cyber Monday sales. Needless to say, the retail industry took notice, which is why there’s a possibility for merchants outside China to capitalize on Singles Day this year. Should you get in on the Singles Day bandwagon? That depends on your business and customers. Much like Black Friday and Cyber Monday, Singles’ Day involves offering major deals, so if you’re operating with tight margins, participating in the holiday might not be the best move. That said, it wouldn’t hurt to be aware of Singles’ Day as you might be able to incorporate it into your marketing and promotions calendar. While holiday predictions are useful for insights, remember that none of them are set in stone. Take these forecasts into consideration, but don’t forget to factor in data from your business as well as input from your customers and staff.